You have realized that standalone access control system is what you want for your business because it does not use key thus you do not have to worry anymore about lost, stolen or broken keys. You do not have to worry anymore about replacing, repairing, and changing door locks because you have discovered that maintenance is easy and they are made to be resistant from destruction. What makes you so interested is the fact that it can help you grant and deny visitor access and that it can let you monitor and study history access that in case something is missing in your office, you will know how and where to start your investigation – with the audit trail report provided by the security system. You believe that this feature may also help avoid incidences like this. You specifically prefer keypad entry system or the Genie wireless keypad entry system. Most of these digital keypads have keys that are backlit for easy recognition of numbers and faster encoding of codes. In case of input of incorrect code, lockout happens. They can be placed indoor or outdoor as they can withstand any weather condition outside. Do you need more information about this type of access control system? Call us at Locksmith San Diego and we can offer help more than you can expect. With our knowledge and skills and our long stay in the industry, we are already experts in the field. In fact, we are able to maintain good reputation in the city with our expertise and high quality locksmith services. 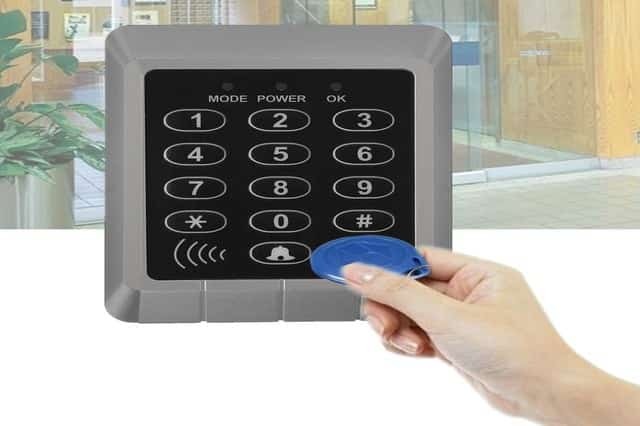 How Does Keypad Help in Ensuring Better Entry System? Before you choose and buy this access control system, it is important that you know how it works so you can better understand the level of security it can offer your business. Keypad locks come in two kinds: individual locks and locks that are a component of a bigger security system. The earlier locks have internal hardware and controls, while the latter draws their electricity from the building. Both of these locking devices require electrical current to be able to release the lock bolt. You can use batteries as backups in case of loss of power source. 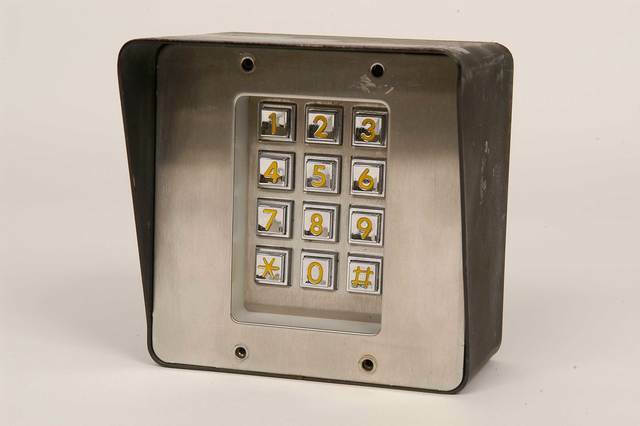 The keypad door entry system calls for the appropriate code to be entered on the keypad to gain entry. Typing of incorrect code will mean rejection of entry. Typically, it takes 15 minutes before the person can encode the numbers again after several failed attempts. The owner or keeper of a certain code must make sure that no one – except himself – knows the code or else security will be breached. In case of resignation of the employee, the code assigned to him should be blocked to deny him entry the next time he attempts to use it to gain access to the building. It is not that you do not trust the person anymore – you just want to make sure that your office is secure from non-employees and unauthorized individuals. For higher level of security, you can choose to change codes every quarter or every time you feel it is necessary. Just follow the manufacturer’s instructions on how to do this. 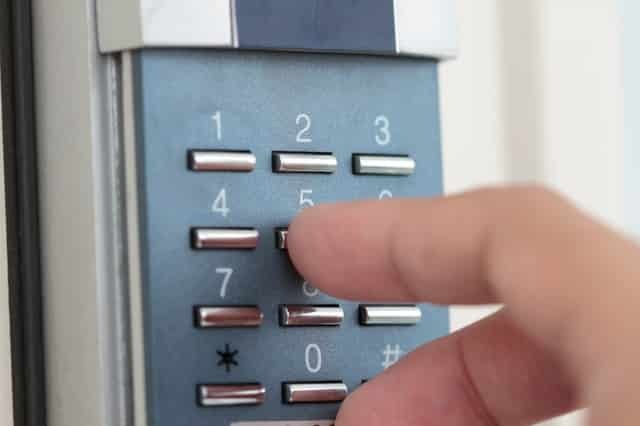 Why is Keypad Entry an Important Security System? Employees will not lose it because it is in their minds. No cards, right? Just numbers or codes, there is no way your workers can lose them like the way they used to misplace or lose keys. No need for you to call locksmith service every time. In case they forget their codes, the security managers can give them or they can be assigned with other codes. The same thing goes with cards. If they use cards for access, the possibility of losing them is high. Then you will have to spend for new pieces of cards. Just type the numbers and the workers are on their way to their respective stations. Likewise, this process gives security personnel the time to recognize faces of the people coming in. The can easily tell if these are the workers they know or someone unfamiliar. Reduce the incidences of stealing inside the premises. Anyone who comes in will need to input his code; when something is discovered to be missing, it is easy to check who went inside on that day using the audit trail report. We at 7 Day Locksmith perform keypad door entry system installation. Our dedication in serving the city of San Diego and in giving high quality locksmith services should be reasons enough for you to hire us to install keypad entry system San Diego in your business (or home). We are licensed, insured, and bonded. Our customer base is huge and continues to grow because we consistently meet residences and businesses satisfaction. We have a wide range of access control systems stocked in our warehouse to ensure continuous delivery of premium service. We can introduce each of the unit (including the Genie wireless keypad entry system) with you for you to understand its functions and benefits so you can make well-informed decision before buying one and hiring us for installation. You may speak with our customer staff at (866) 306-8557 so you can set an appointment with us. We will be happy to answer all your inquiries. We can make recommendations and share our and our clients’ experiences so you will have ideas about using digital keypads. Do not hesitate to speak with us; we entertain questions. We can also go to your business location for inspection. We want to build a smooth working relationship with our customers. We also offer service quote prior to job performance so you are aware of our fair pricing. We are all experts and we continue to make ourselves updated with new information and products available in the industry. Again, we are dedicated to ensuring the safety of our clients and their properties.